THE LARGEST SELECTION OF MELISSA & DOUG TOYS IN MALAYSIA! Melissa & Doug started as a small family-run business more than 25 years ago and has grown to become one of the most popular toy brands in the world with their focus on classic play. 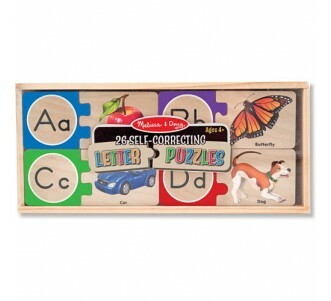 Janie & Joe is proud to offer the largest range of Melissa & Doug in Malaysia! Newlyweds Melissa and Doug had to be careful not to disturb Doug's parents as they started their new business focusing on educational toys, jigsaw puzzles and classic wooden toys... all out of Doug's parents' garage! Melissa designed all the early range herself and visited toy fairs around the USA to showcase her wooden jigsaw puzzles and building blocks, and soon made her way into some of the best toy stores in the country. One of Melissa's first bestsellers was a “fuzzy puzzle” of a farm scene that had texture, like a carpet, aimed at offering a tactile experience. It was the first of what would become quintessentially Melissa & Doug products. 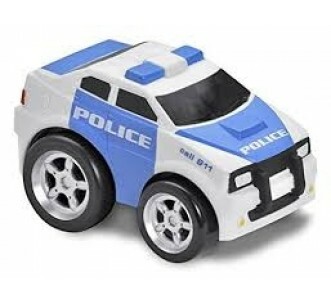 ...to one of the world's best-loved toy brands! 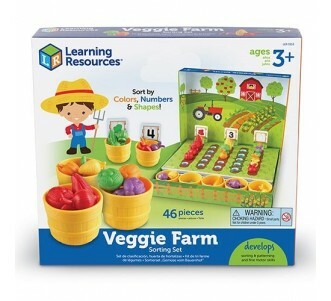 Since then, Melissa & Doug has grown to offer a large and varied range of toys, games, puzzles, arts and crafts kits, building blocks, crayons, colouring pads, costumes, play sets, plush toys, activity kits and so much more! Even now, Melissa and Doug take inspiration from their children (all six of them!) and often their best ideas come from simply watching their family at play. In fact, Melissa and Doug's family kitchen has become an informal "testing centre" for all their newest inventions! In recent years, the internet, iPads, and all manner of high tech toys seem to have taken over children's attention. Apps and video games have soared in popularity; and parents struggle with conflicting feelings. Should they give in to children’s yearnings for a phone app or video game? Or limit the screen time and offer up something simpler and more nostalgic, reminiscent of a childhood real or imagined? While all manner of experts recommend limiting screen time for children, as busy parents, we know it is difficult to manage this process and we believe a balance in play is important (it would be unrealistic to ban electronic devices outright; moderation and appropriate use is the right way to go). 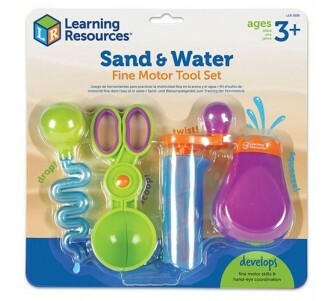 Melissa & Doug's range of toys, games, activity kits all seek to focus on "classic" play- helping children discover the joy of creating and imagining, of "hands-on" experiences, of discovery and fun. 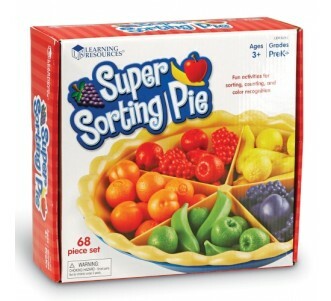 By definition, toys are means of entertainment, and Melissa & Doug items include many task-specific games and projects, like colouring books with implicit rules or craft kits with everything included. These aren’t toys you have to bring much imagination to. However, Melissa & Doug also carry a large range of toys and games that clearly encourage creative thinking, role-playing and imagination. Melissa has described watching her own children pretend to make food using old spice jars; out of that observation came a line of play food sets which are one of the more popular bestsellers at Janie & Joe. Many of the Melissa & Doug range also encourage children to play with one another, or engage actively with their family and friends. The award winning Suspend is an excellent example of a game which can be enjoyed by all ages and the whole family! 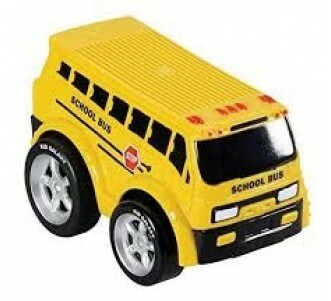 At Janie & Joe, we travel around the world to find the best toys available for your children. We regularly visit the best toy stores in Europe and America, and meet with the best toy companies at all the major international toy fairs and even in their own headquarters to make sure that we leave no stone unturned! Throughout our travels, we can see that Melissa & Doug offer a wide variety of products which we believe our own children will love and it has been a privilege for us to bring these wonderful toys to families here in Malaysia. We are proud that Janie & Joe carries the largest selection of Melissa & Doug in Malaysia. Visit our store or shop online today! JANIE & JOE'S TOP PICKS FOR XMAS 2017!